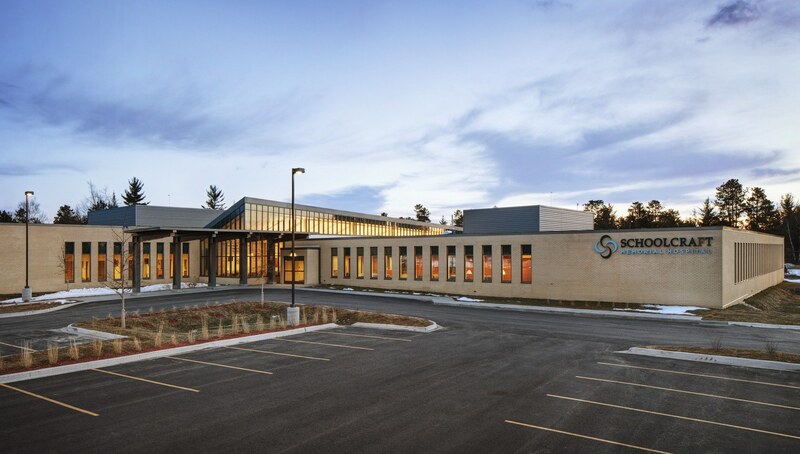 Replacing a 62-year-old hospital, the 62,000-SF Schoolcraft Memorial Hospital includes 12 private patient rooms, multi-room emergency department, two operating suites, sleep lab, imaging department, pharmacy, cardio pulmonary rehab, administrative offices, cafeteria, and integrated Rural Health Clinic. 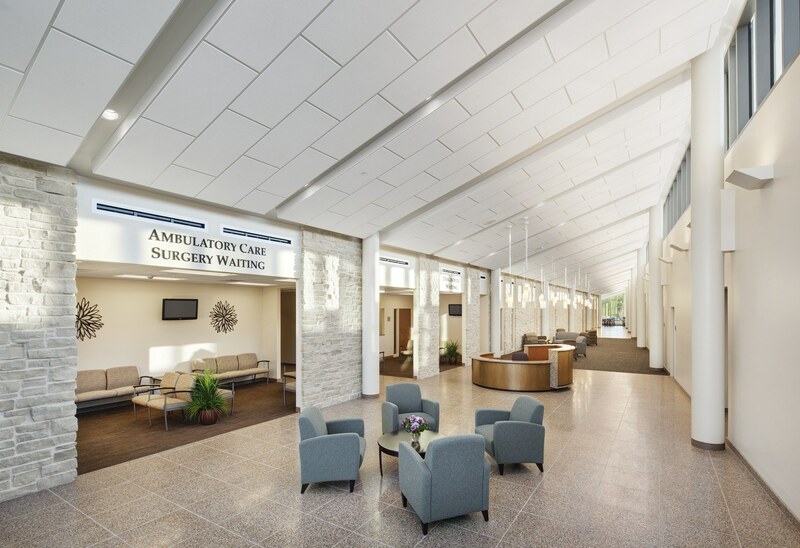 To meet the healthcare needs of the community’s 9,000 residents, the hospital transformed the older inpatient chassis to a leaner, more cost-effective outpatient model that emphasizes preventative care and wellness aligned with integrated diagnostic and clinic services. 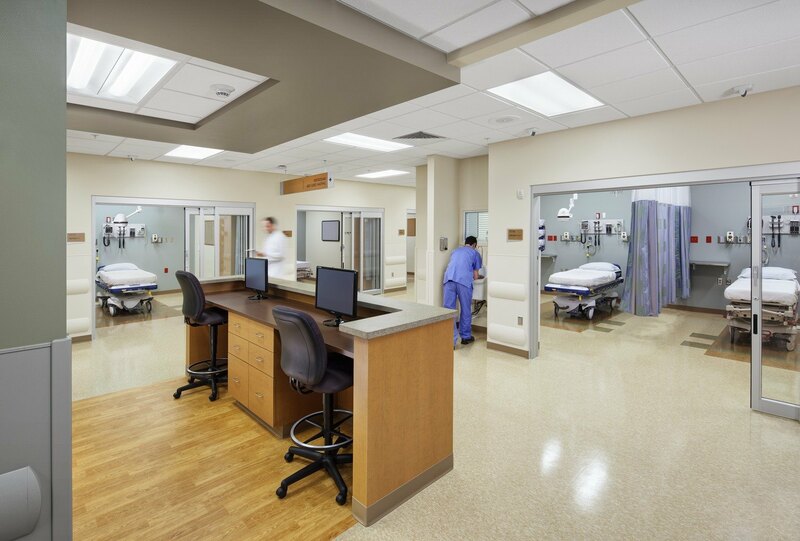 Rather than upping square footage, the hospital reduced inpatient space from 24 beds to 12 beds. 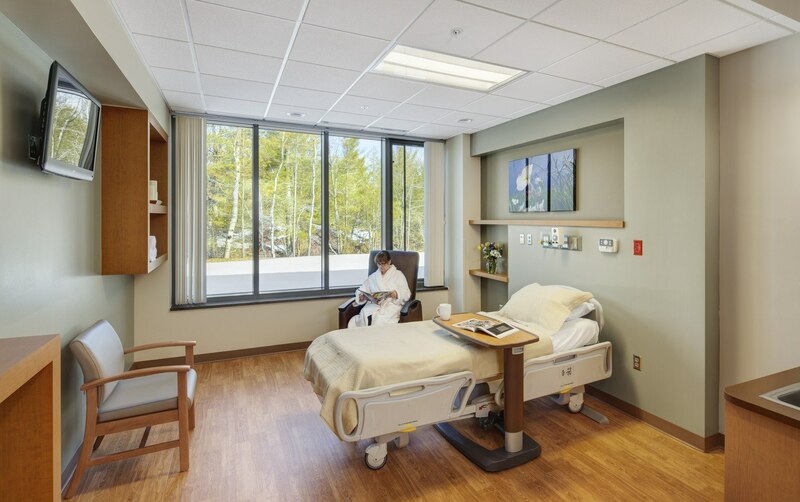 Flexibly-designed adjacencies further promote efficiencies, allowing such spaces as the ED/inpatient unit to flex back and forth depending on needs. 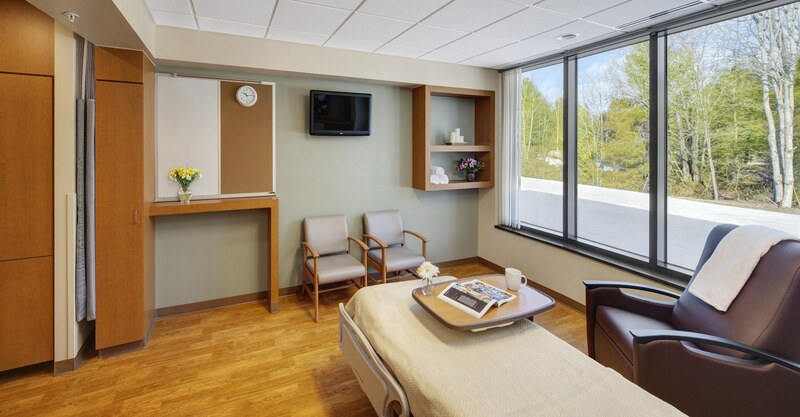 Many caregivers are cross-trained across disciplines to deliver the care as needed within this flexible plan.